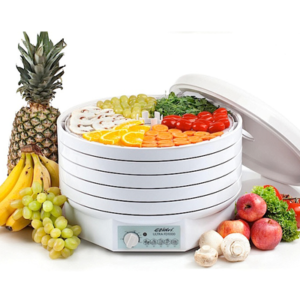 Remove the trays located between the base and the top lid of your Ezidri dehydrator. When using the Ezidri dehydrator, use accessories that are supplied with the machine and accessories that are recommended by the manufacturer/supplier. Plug the cord into the outlet and switch on the power. Select the temperature recommended for the product you are drying. 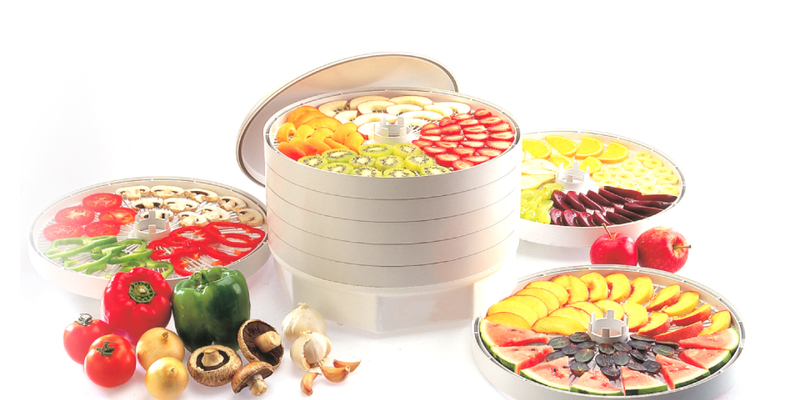 Check that the fan is rotating and allow the unit to warm up for a few minutes, this is apparent by sight and sound, while preparing the first tray of food. Place the food on the trays with pieces not quite touching. Do not spray trays with vegetable oils or fat as this may cause the trays to crack. Use a mesh sheet on a tray when drying herbs and flowers or items which can slip through the spokes in the tray. The flexibility of the mesh sheet makes it easy to remove dried fruit and vegetables like bananas and tomatoes. Use a solid sheet, lightly oiled with vegetables oil, on a tray when drying puree for roll-ups or soups and meals. The consistency should be so that that mixture can be evenly spread with a spatula. Use a paper towel to wipe the solid sheet if excess fat accumulates on the solid sheet. 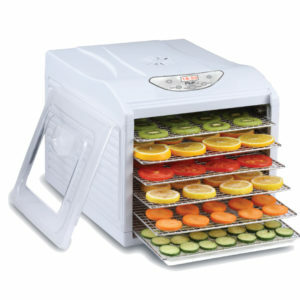 Place a solid sheet on the bottom tray nearest to the base of your Ezidri dehydrator when drying herbs and lowers. Always fill the trays away from the drier then carefully transfer the tray to the base of the unit, particularly when making roll-ups, as the puree could spill into the base. 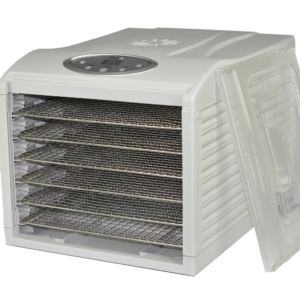 Place the Ezidri dehydrator in a well ventilated area. Do not move the dehydrator while dehydration is in process. Once dehydration is complete, unplug the unit and store in a cool dry area.